Hangzhou - September 21: hangzhou sports park, Lively yellow golden retriever dog Standing on the table? on September 21, 2014 in hangzhou. hd00:24Hangzhou - September 21: hangzhou sports park, Lively yellow golden retriever dog Standing on the table? on September 21, 2014 in hangzhou. 4k00:124k : The head of a young goat close-up. High quality, Ultra HD, 3840x2160. hd00:13Temple Cows. Somebody feeds some strands of grass to two cows in the grounds of a Buddhist Temple. 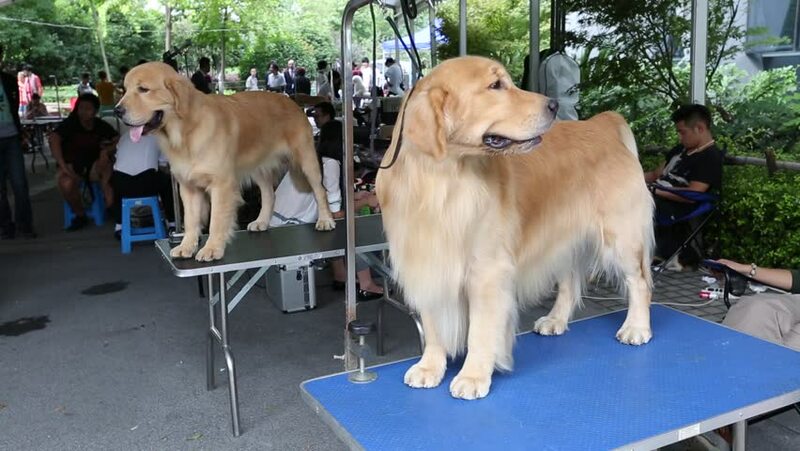 hd00:10MOSCOW, RUSSIA - MARCH 21, 2015: Golden Retrievers in a row during international dog show "Eurasia 2015" in Crocus Expo.